I’m Princess Diane Von Brainisfried and it’s a joy to welcome you into our kingdom where positivity rules! And we can remain positive, even when sad things happen, as they did on Thursday, July 12, 2018, with the passing of make up artist-turned silver-haired super model- turned cosmetic entrepreneur of BOOM cosmetic empire. 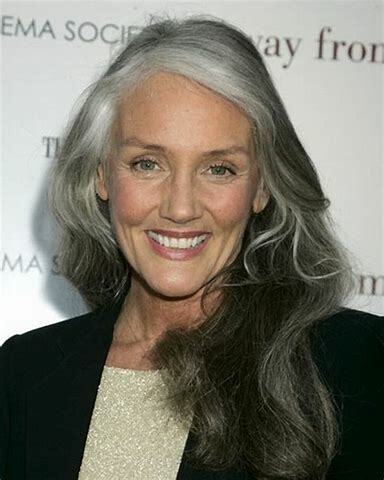 Cindy was discovered, synchronistically, by the famous fashion photographer, Steven Meisel, when she was 49 — on the very day she finally went all out silver and removed the last bit of hair color! She was in her late 60’s and still modeling when she passed away on Thursday. Her love and zest for life, for the excitement of “what’s next” — not in spite of her age but because of her age — was trail blazing. Cindy created Boom Cosmetics for baby boomers and all women, really, that wasn’t for the purpose of covering them, but to augment their natural look. It was the radiance and glo factor that she wanted to bring out in women over 40, not the “hide” factor. She felt calling products anti-aging or anti-wrinkle was for the birds. Companies might as will call the products, “anti-you.” That’s when she realized it was time to do something…and she burst forth on the scene with her Pro-Age cosmetics and the Pro-Age movement. Cindy, you have touched our lives and changed us for the better. I miss you already. I loved your personal videos where you let us into your life. You were so beautiful, and so beautifully real. Put a tiara in your closet! Subscribe now and get a FREE REPORT: “7 insanely Simple Happiness Strategies” plus princess-worthy updates for a royally happy life! If you like what you read, be a gem and share it!